Have you tried any of these awesome essential oil solutions? 1. Add 1 drop of Tea Tree to the sink when you’re washing dishes. 3. 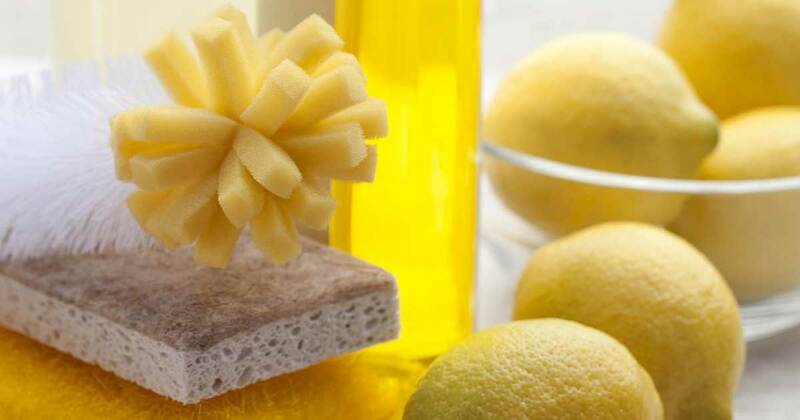 Lemon can remove many stains, it can even remove gum, stickers, and other residue from most surfaces. 4. Many oils have natural purifying and cleansing properties and can be added to natural household cleaners, such as sprays, carpet deodorizers, furniture polish (lemon specifically for that one), and so on. Try mixing your favorite aroma with baking soda for a carpet powder before vacuuming. 5. You can add oils or oil blends to household paint, craft paint or supplies, children’s dough, etc to create a more pleasant aroma. The ratio will vary depending on what you’re using it for, anything from 2-3 drops for dough to a whole bottle for a gallon of paint. 6. Peppermint will easily repel ants and many other crawling insects that like to invade the home. Place a few drops on a cotton ball and hide around the entrances of your home, windows, behind the fridge, etc. 7. Essential oils are AMAZING for mosquitos, and other biting insects. They can also be used to repel household insects, too. Vitality extracts believes essential oils play an important role in a comfortable and healthy home. This list could go on forever, but what are some of your favorite uses for oil around the house?